Russia's Defense Minister Sergei Shoigu inspects the Hmeymim airbase in Syria, June 2016. Russia’s anti-terror operation in Syria has revealed some design and production flaws of Russian combat hardware, Defense Minister Sergei Shoigu said on Oct. 21. 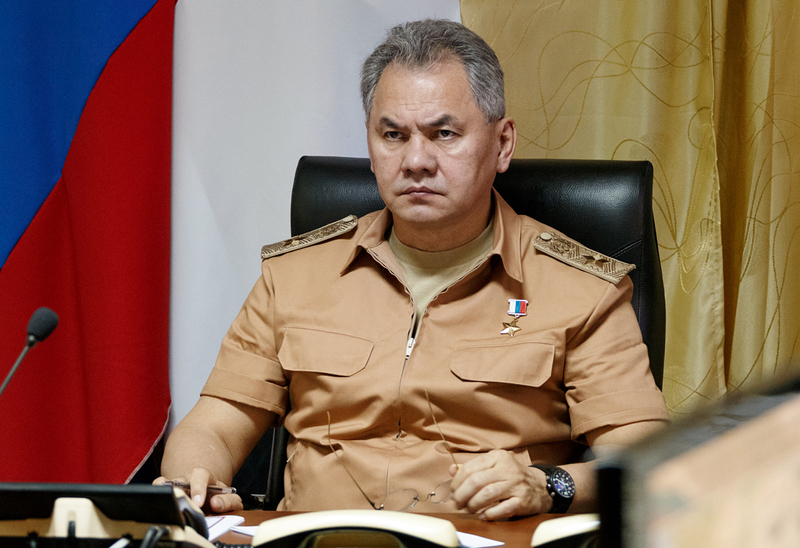 "The use of the military hardware in the Syrian Arab Republic has exposed some design and production defects," Shoigu said on the single military hardware acceptance day. According to Shoigu, the Defense Ministry will consider on the single military hardware acceptance day "which measures are being taken and have already been taken to raise the reliability of combat hardware." Russian President Vladimir Putin said earlier that the Syria campaign had revealed "certain problems," the removal of which would help "adjust further areas of development and improvement of combat materiel." As Kremlin spokesman Dmitry Peskov said later, the talk was about "the functioning of particular types of combat hardware." Chief of the Russian General Staff Valery Gerasimov instructed in mid-July "to take measures to remedy the situation" by the end of the year. Russian Deputy Defense Minister Yuri Borisov earlier said that the serviceability of Russian aircraft used from Hmeymim air base in Syria was 80-90 percent. Russian Helicopters rotocraft producer told journalists that Russian combat helicopters would be improved considering flaws detected during the Syria campaign.